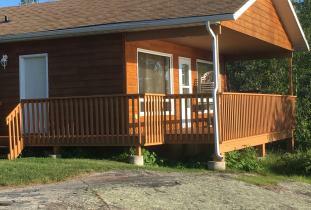 Beautiful Family Friendly Resort with Deluxe Lake Front Cabins!! Indoor Hot Tubs/ Jacuzzi Tubs with Sauna, Seasonal Gas Fireplace, Satellite TV, DVD. 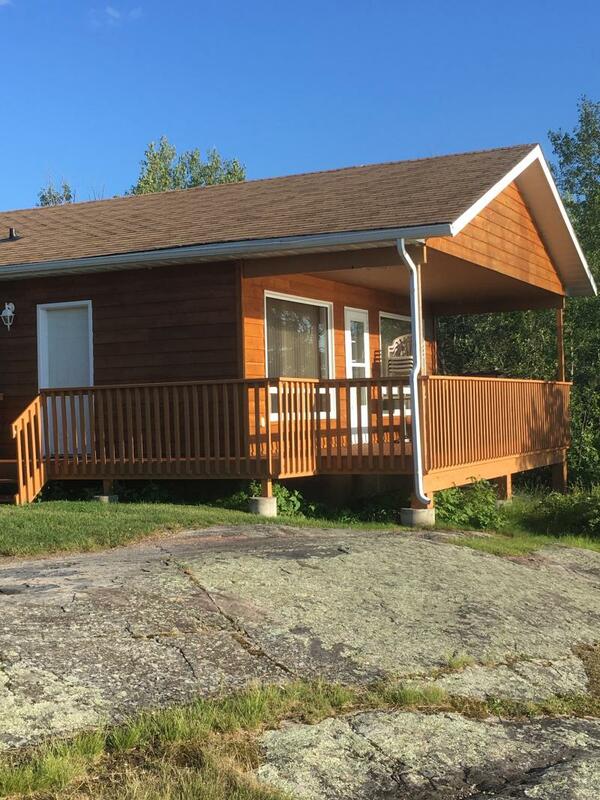 Fully Equipped Kitchen, Large Deck over looking the lake with BBQ and fire pit. Pet Friendly Cabins Available.. Smoke Free Resort, A/C units in all cabins..
Amazing getaway for the family or a romantic weekend away from the city hussle. Come enjoy the Stars!! Great spot for fishing Northern Pike, Walleye, Goldeye and Perch. We offer motor boat rentals. Complimentary Canoes & Kayaks for our guests. Large sandy beach area with play structure.. Restaurant & Store on site Open May - September..
Trans Canada Trail access for beautiful hiking & biking trips. Come to Otter Falls Resort & enjoy all we have to offer. Catch our amazing sunsets! Rest, Relax & Enjoy!